Both users and search engines love visual content. It is the fastest and most efficient way to captivate your audience’s attention and get them to share your message across various platforms. Visual content conveys information in a faster, more efficient way than say a 500 word blog post. Although the quality of your textual content remains important, incorporating visual content is debatably a must for attaining consumer attention. Visuals are highly ranked and are extremely shareable. Here are a few things to consider regarding why visual content is so powerful. Users don’t always have the time to read everything you write, and spacing out short paragraphs or condensing lengthy text content doesn’t make much difference. No matter how well-written and engaging text may be, a percentage of users will simply scan through it. However, visual content catches attention and can communicate a great deal almost instantly. Our brains process images 60,000 times faster than text. If you had the choice between getting all of the info you need from one image or a block of text, you’d most likely choose the image that’s comprised of information, just like your readers. Infographics, graphs, maps and charts are all powerful ways to illustrate data driven content. Data driven content pleases both users and search engines. For the content marketing process, these sort of visual keys are much more effective in explaining your message and getting people to share it, than an article. 63% of Social Media content is comprised of images. 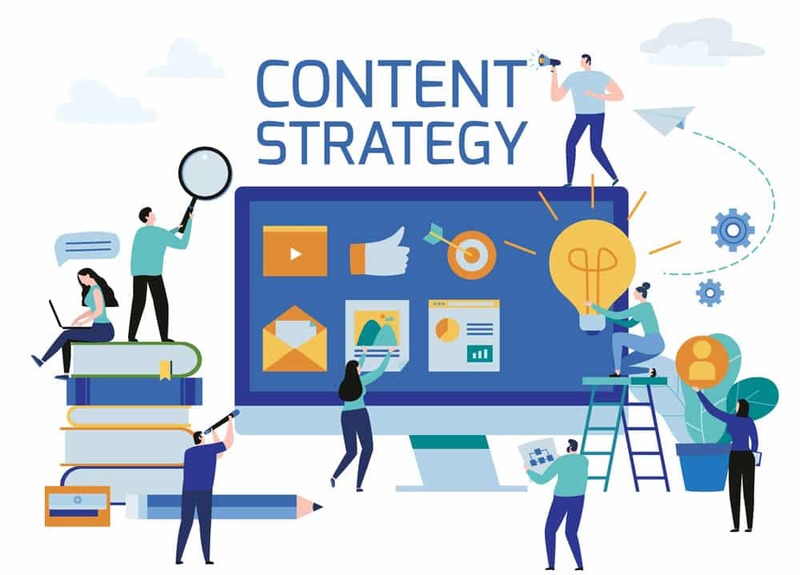 Getting your audience to share your content may lead to better SEO rankings, higher visibility and ultimately, more leads, which is the goal of some business content marketing. Sometimes it may be more efficient to create visual content at volume than it is to produce the same amount of content but written. For example, when sharing a new line of products, it is much faster to produce a few great product photos that are linked to description pages than it is to create lengthy text filled with in-depth descriptions. You can source user generated images and content straight from your audience to give you a full base of original, fresh content to spread across the web. When beginning to include visual content into your content strategy, it is important to always be original and creative in order to get on the public’s radar. Overall, visual content marketing allows for a better online presence, while visual aids strategically placed inside your content are great for keeping your reader’s interest so they’ll want to spread your message.